Robertson & Lewis is an AV rated law firm formed in 1992. Located in the capital of Silicon Valley, the firm provides litigation and transactional services to a wide variety of financial institutions. The firm has extensive experience and expertise in general banking, collection, defense, loan documentation, and related matters. With more than sixty years of collective experience, Robertson & Lewis brings its lawyers’ intelligence, determination, persistence, and creativity to bear on the issues facing their clients. Our firm has built a reputation for rigorously representing its clients in a wide variety of litigation and commercial transactions matters. 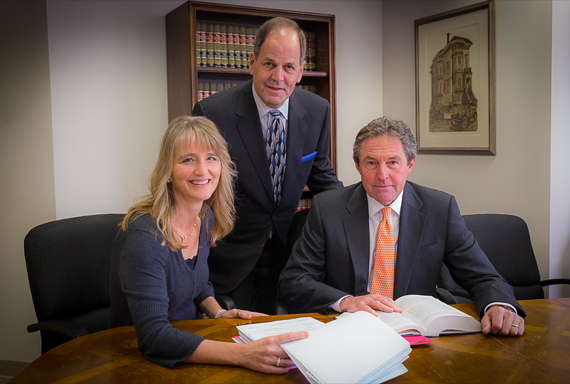 The firm’s attorneys are admitted in the federal and state courts in the State of California. Our firm practices in the areas of commercial and other civil litigation, debt collection litigation, and the enforcement of creditors’ rights, commercial leasing and purchase and sales on behalf of sellers, buyers, landlords, and tenants, and general counsel services to financial institutions including legal and regulatory compliance, risk management, corporate governance and wealth management issues. We represent banks, finance companies, large and small corporations, and sellers, buyers, landlords, and tenants of commercial properties.